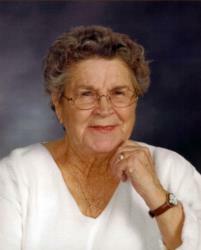 Ruth Ellen Lamb, 89, passed away peacefully at the New Mexico State Veterans Home on Saturday, January 12, 2019. Ruth was born to Buford and Margaret (Cahill) Witt in Louisville, KY. She married Walter Alan Lamb in 1946. The two had 8 children and lived in California for many years. Ruth was a seamstress by trait; she and Walter took over the family owned upholstery business and ran it for nearly 60 years. Ruth enjoy doing jigsaw puzzles, and learned to navigate her iPad where the Jigsaws were never ending. Ruth is preceded in death by her husband, Walter Alan Lamb; parents: Buford and Margaret Witt; children: Walter Lamb, Jr., Thomas E. Lamb, Ramona Lamb, and Elizabeth A. Manuel. She lovingly leaves behind her children: Carol Townsend, Alberta Mortensen, Marie Hoefert, and Joseph Lamb; 15 grandchildren; 21 great grandchildren; 3 great-great grandchildren; as well as numerous friends and family. Cremation has taken place and Mrs. Lamb will be taken to California City, CA to be laid to rest next to her husband at a later date. Grandma you will be missed we love you and blessed to have you in my life and in my kids life.